Netflix isn't always the first place many of us go when we're looking for a new British comedy to watch (that's usually Acorn TV or BritBox), but they have a surprising number of good ones. The British comedies on Netflix range from retro classics like Dad's Army and Fawlty Towers to some of the latest shows like Detectorists, Crazyhead, and Crashing. Have we missed any? Let us know in the comments! We'll do our best to keep this list updated, but it's always possible you'll find a show that's no longer available, or one we've missed. 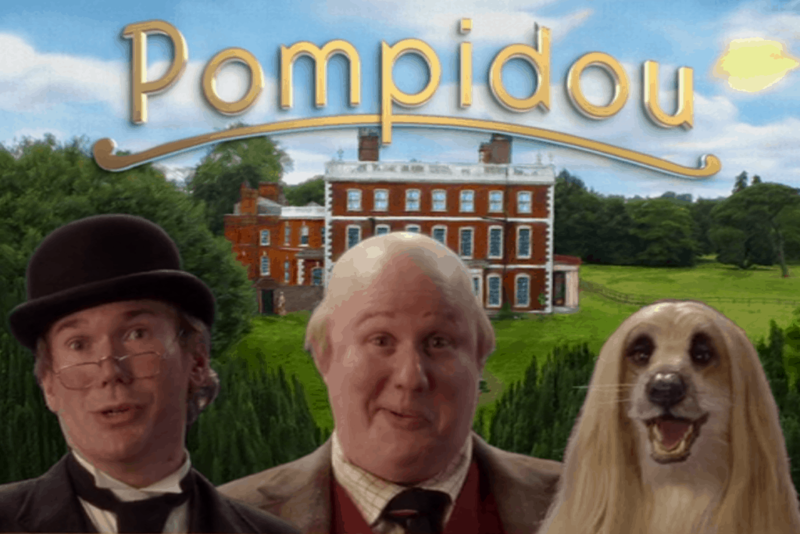 Pompidou – A wealthy man falls on hard times and is forced to live in a caravan with his dog and butler. Toast of London – Matt Berry (The IT Crowd) stars as a middle-aged actor with a great deal of personal problems. Crashing – Free-spirited 20-somethings live as security guards in abandoned buildings around London. The rent is cheap, but they have to be ready to move on at very little notice. Dad's Army – Classic British comedy about Home Guard volunteers preparing for German invasion during WWII. Chewin’ the Fat – Scottish sketch comedy mostly filmed in Glasgow. People Just Do Nothing – A painful mockumentary about some very bad wannabe MCs from West London. The Inbetweeners – A clever but bawdy teenage comedy that follows four friends as they navigate their final years of school and entrance into adulthood. Hoff the Record – A David Hasselhoff mockumentary wherein he attempts to stage a huge comeback in the United Kingdom. Limmy’s Show – A Scottish sketch comedy show that explores a wide variety of topics. The End of the F***ing World – A strange dark comedy about a teenage psychopath who embarks on a road trip intending to kill his rebel companion. The Worst Witch – A young adult comedy about an awkward girl witch who accidentally stumbles into witching school. Man Down – Dan is a child trapped in a man’s body, and he’s not loving adulthood. Campus – Cuts are coming, and the faculty at a fictitious British college scramble to save their positions. Extras – Ricky Gervais stars as an actor reduced to working as an extra who seems to find no end of trouble. Doc Martin – After developing a fear of blood and leaving his career as a surgeon, a cantankerous doctor moves to a small Cornish village to practice. 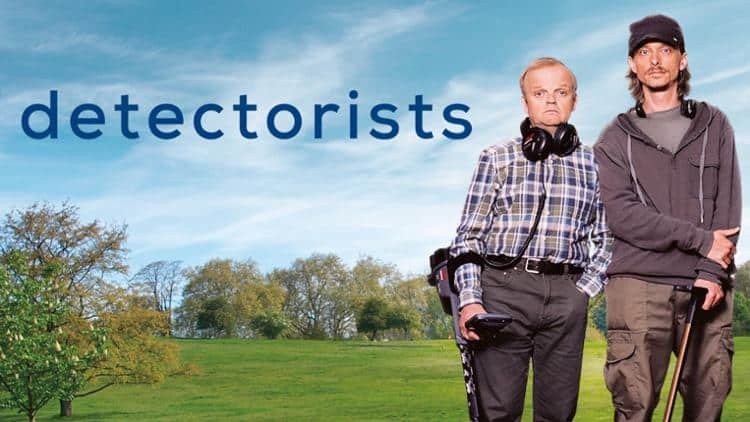 Detectorists – Slow but wonderfully characterful and charming series about the members of the Danebury Metal Detecting Club. Cuckoo – When a British woman brings an American hippie back home as her husband, they aren't terribly well-received by her proper British family. The Moaning of Life – Karl Pilkington, idiot extraordinaire, explores the concept of middle age around the world. Come Fly with Me – One of several British comedies that take place in an airport. This one focuses on both the airport employees and the passengers. Derek – A comedy about a good-hearted but slow nursing home care attendant. Fresh Meat – A youthful, edgy comedy about friends going off to university. White Gold – This unique comedy is about a group of window salesmen in early 1980s Essex. Green Wing – Hospital sketch comedy where very few medical things ever happen. If you find yourself in a position to partake of NHS services, this is not the place you want to be. Round Planet – Matt Lucas stars as nature documentarian Armstrong Wedgewood in this parody of nature programs. ‘Allo ‘Allo – Vintage British comedy series set in a WWII-era cafe in France. So Awkward – Socially awkward young teenagers go through school and face normal teenage girl issues. Lookalikes – Part reality show, part comedy, this series explores the difficulties of running a celebrity impersonator agency. Crazyhead – 20-somethings work on becoming adults while also battling demons (real ones, not “personal demons”) in this comedy. The Office – Ricky Gervais and Mackenzie Crook appear in this original British comedy on which the US version of The Office was based. Scrotal Recall (aka Lovesick) – After finding out he has an STD, a young man must attempt to contact former lovers to inform them of their possible fate. James Acaster: Repertoire – Standdup by British comedian James Acaster. A Young Doctor's Notebook and Other Stories – Daniel Radcliffe stars in this Russian Revolution comedy miniseries. Looking for more British comedies? 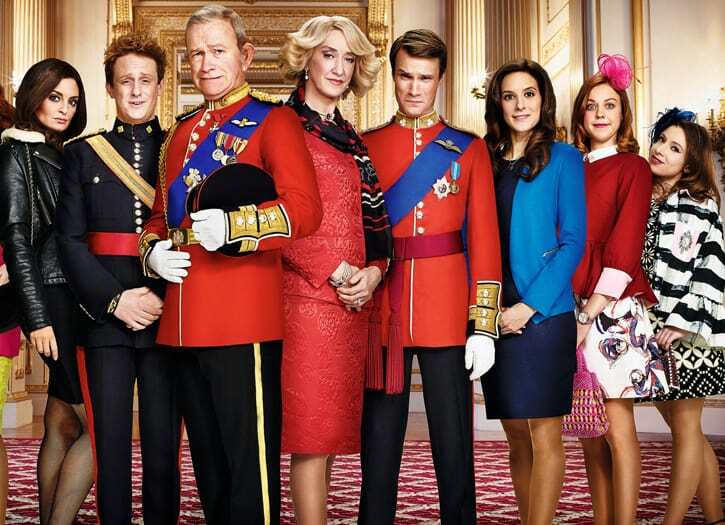 Check out our list of British Shows on Amazon Prime Video.